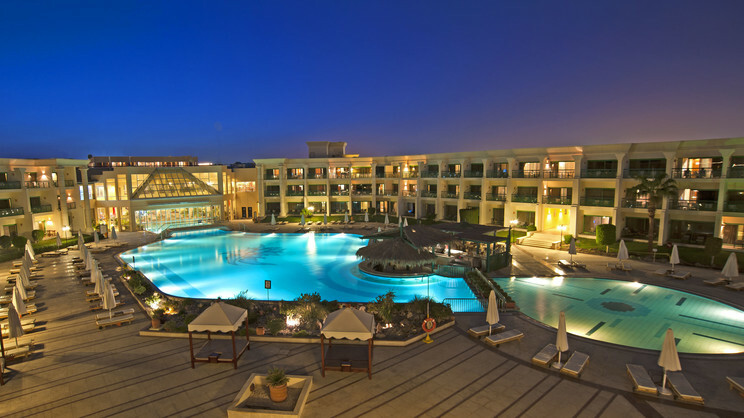 Unwind on sun-drenched Egyptian shores during a sensational escape at the 5-star Hilton Hurghada Resort. Heavenly days of holiday bliss await you at this sublime beachside complex, enjoying wonderful amenities and modern accommodation, while you don’t want to miss out on the fantastic all-inclusive option. Whether you’re travelling with loved ones, friends or as a couple, you’re sure to experience a magnificent holiday filled with indulgence, excitement and thrills aplenty at the fabulous Hilton Hurghada Resort.